Back when I was a kid the Brendan Fraser Mummy remake was one of my favorite movies. 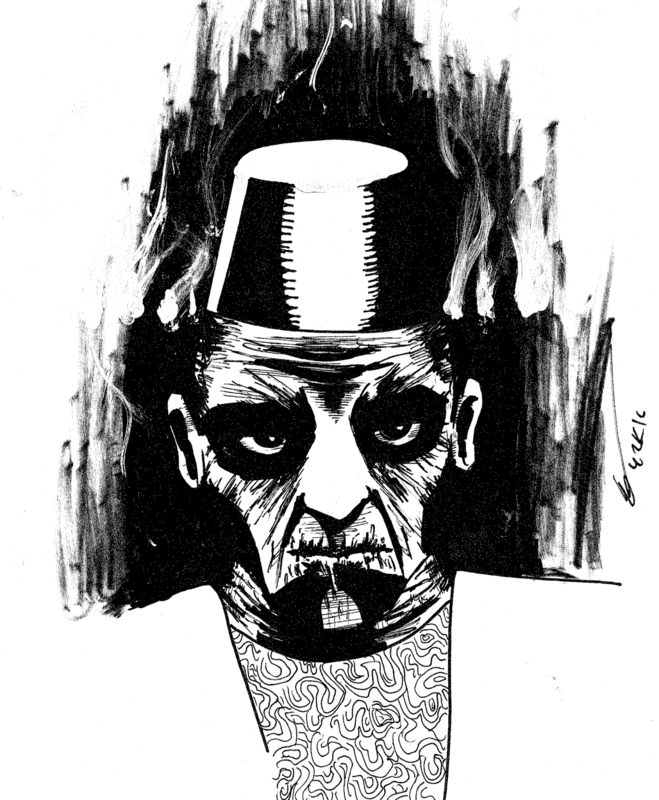 But enough about that one, I will always appreciate Boris Karloff's version of the Mummy. I am trying a new technique where the shadows bleed into the actual face. It turned out quite nicely because the shadows imply deep cuts on the face. Like, the eyes look like they are sunken. Similarly, his cheeks are cut so deeply that the shadows practically engulf them. Overall, a great looking effect that gives a sense of creepiness.